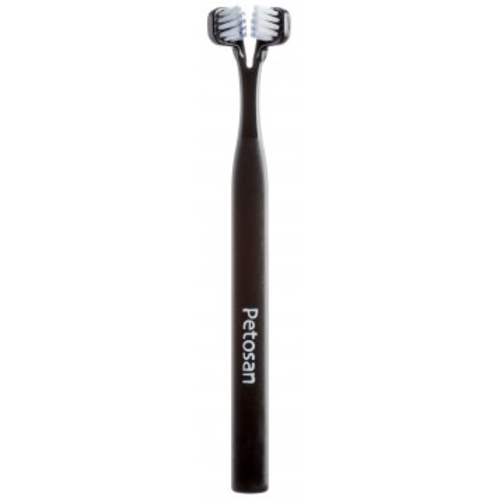 Petosan Toothbrush is a world-class tool to help you clean your pets’ teeth adequately at home. Brushing your pets’ teeth is just as important as brushing your own and is the only way to remove plaque at and below the gum line! As dog owners become more proficient at tooth brushing, they will experience a strong bonding effect between their dogs and themselves. The double head of this toothbrush allows you to clean the front and back of your dog’s teeth in one go.